Go and get a tattoo! – Radio for the People, by the People. Go and get a tattoo! 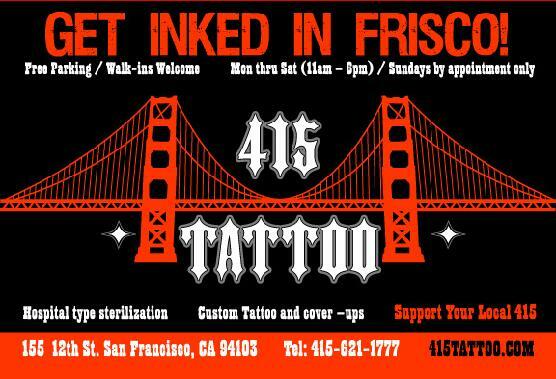 Go and get some ink from the #1 tattoo shop in San Francisco…. 415 Tattoo. Go and and get it done… people with out tattoo’s just talk about them, so go and be talked about! Let Reno know that John from The John Miller Program with Susan Maletta sent you! !